Your customers crave WiFi for their mobile phones. It's faster, provides a better connection and they prefer to shop and dine with businesses offering WiFi. 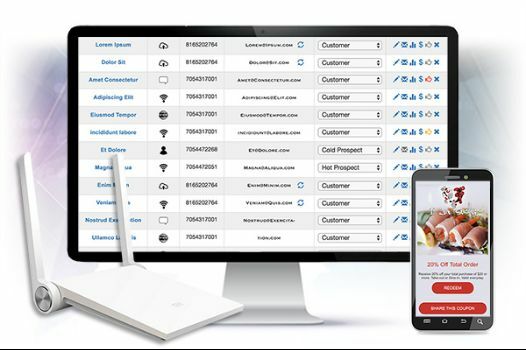 Convert your Free WiFi into a great marketing and loyalty system. Turn Your WiFi into a Marketing Machine - Start Today! Today’s customer is more connected than ever before. You simply can’t have enough list building tools to capture invaluable marketing data. The more data you have in your database the more chances to touch and bring customers back. 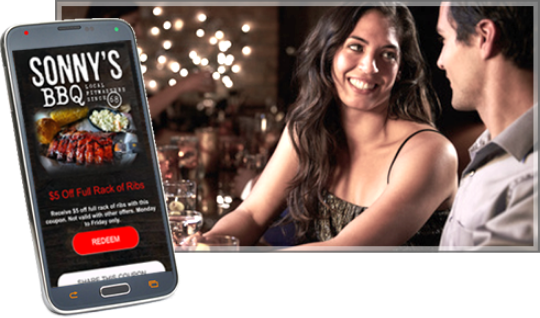 And if you like the idea of WiFi marketing, why not work with a vendor where WiFi is an integrated piece of a robust marketing system designed for stores and restaurants. First, we design and integrate the login experience into a customized splash page that maintains your business’s unique branding. We’ll make a beautiful design while you wait for your new router to ship. (e.g., comp appetizer, 25% off coupon offer, $5 reward). We will send you your WiFi Marketing Kit ready to use. 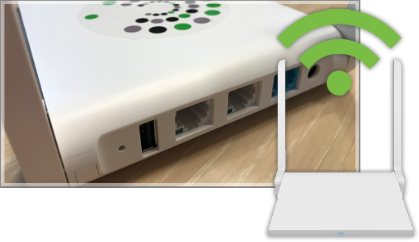 Simply plug in your router (or daisy chain multiple routers for larger facilities) to existing access point(s) and let customers connect with your store over any WiFi capable device. Our adaptive sign on process for first time and repeat customers provides a seamless experience. Today you need a secure service that's why our WiFi router's firewall will reject all incoming ports while allowing outgoing. Customers can sign into your WiFi network with either their mobile number, email address and/or Facebook account. It’s easy. 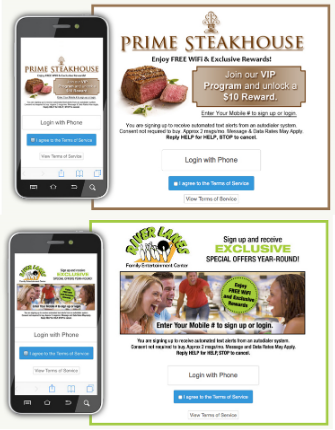 Once the customer has been added to your private database sit back and let your automated promotions and scheduled campaigns bring customers back more frequently. 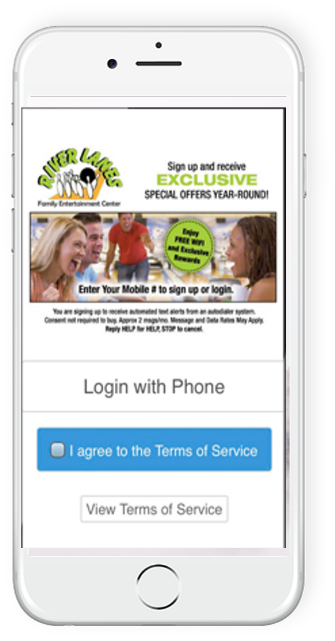 ADD - Birthday clubs, Rewards, Mobile coupons and incentives to your marketing campaigns.